1. Just a few minutes drive from Tullamarine Freeway exits. 2. On Napier St, near the junction with Mt Alexander Rd and Fletcher St.
2. Plenty of free on-street parking outside the showroom. You can also check out our Nunawading and Malvern East showrooms. See more of this display kitchen. 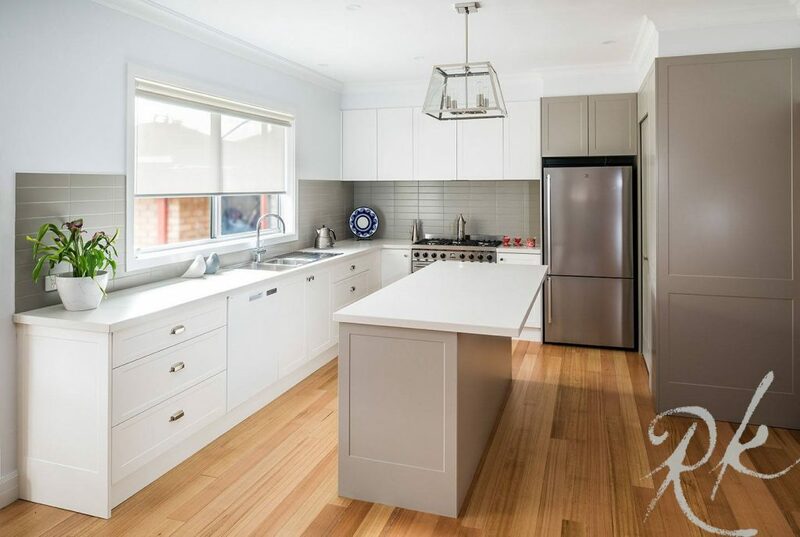 Rosemount Kitchens is a family-run business that specialises in beautiful Melbourne kitchen renovations. We can provide you with a custom design, and provide unbeatable customer service and complete project management throughout the renovation process. 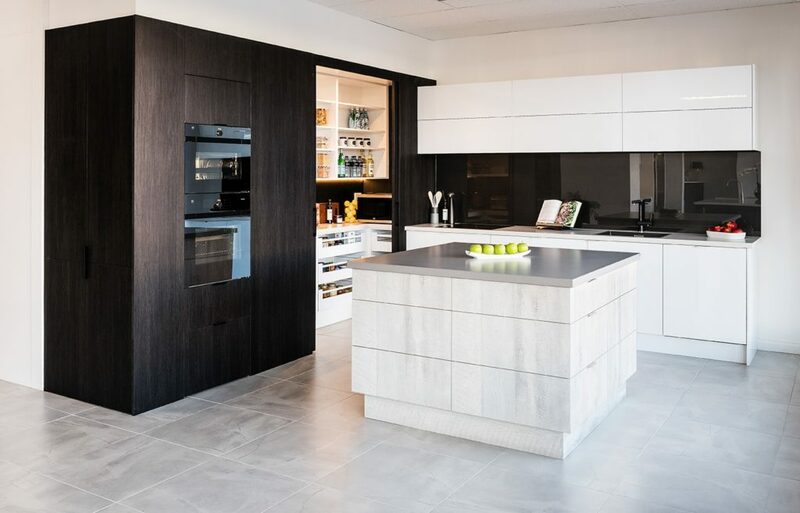 Our Essendon kitchen showroom in Melbourne’s northern suburbs is the newest of our three showrooms. It’s just 8km from Melbourne CBD, and in a particularly convenient location if you live in Melbourne’s north or west, including nearby suburbs like Brunswick and Moonee Ponds. The showroom is situated on Napier Street near the junction with Mt Alexander Road, just down from Essendon Cricket Ground. There’s plenty of free on-street parking on Napier Street. It’s also just a short walk from Essendon train station and a few steps from the 59 tram. There are a number of cafe and lunch options nearby, including Frudeli Cafe just a couple of doors down on Napier Street, and Crust Gourmet Pizza Bar. 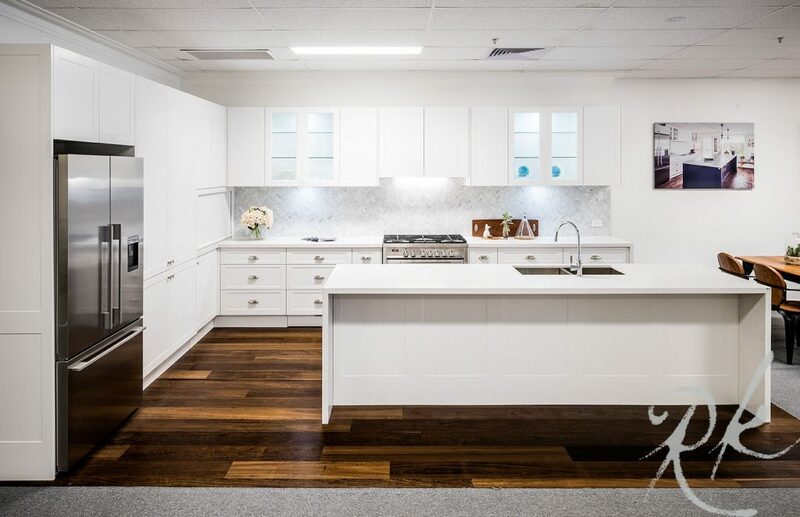 We designed the showroom to showcase kitchen styles and products that will cater to a wide range of tastes. You’ll find full Hamptons and French Provincial style displays as well as modern, urban and handleless kitchens that are also very popular. A wide range of cabinetry, benchtops and splashbacks – and innovative storage solutions – are on show. Here are just some of the styles, finishes, materials and components you’ll find in the new showroom. Benchtops – Caesarstone, Dekton and Corian in a variety of colours and finishes, including white, marble and concrete look. Splashbacks – including glass, tile, mirror and Southern Cross ceramics. Storage – a range of innovative products from Blum and Hafele Kessebohmer, including fantastic corner solutions. We’ve had great feedback from customers since the showroom opened in 2016. The dark cabinetry and walk-in pantry in this display showroom inspired Lisa and Greg Bitzas for their kitchen renovation. See the full story of the renovation in their Greenvale home. Martyn and Chris Perry are another couple who got huge benefit from visiting the showroom. “We went with Brad (Rosemount’s designer) back to the showroom and they showed us the smoky glass mirror splashback,” says Martyn. “Chris really liked that, so we went with that. See the full story of their renovation in Altona. And you can see much more customer feedback on our testimonials page and at Product Review. 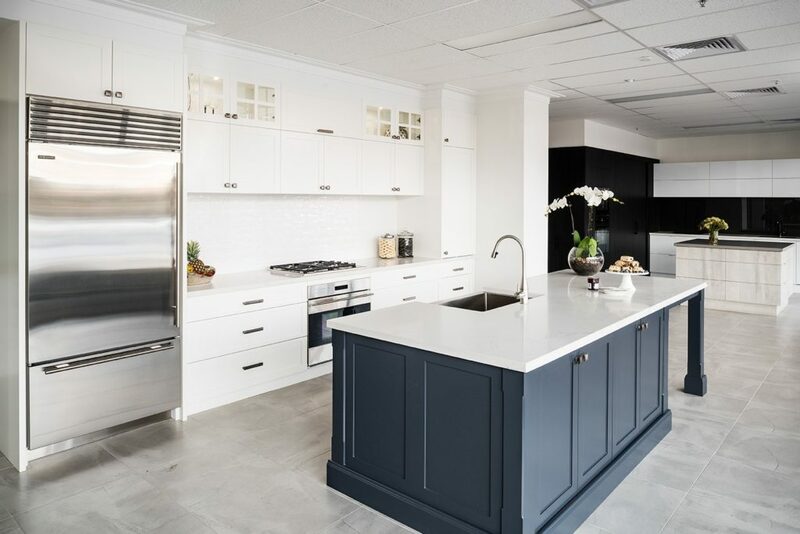 “We’ve designed this showroom to help our customers find exactly the kind of kitchen they might be looking for,” says Rosemount’s managing director Mark Tonkin. “Some people might want a traditional style kitchen while others are interested in a more ‘up-to-date’ look. Being able to see, touch and feel the kitchens and their individual components is an essential part of the renovation process, says Mark. 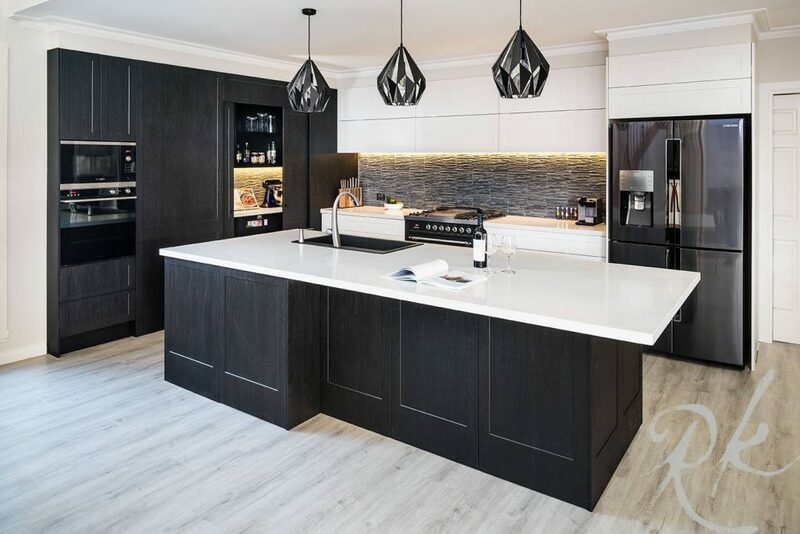 And with the assistance of Rosemount’s experienced kitchen designers, who offer free in-home consultations, an ever-growing number of satisfied customers have turned their dream kitchens into reality. Rosemount has come a long way since we opened our first showroom in 2010, and we’ve got our customers to thank for that. They compliment us on our quality, customer service and attention to detail, and our Essendon showroom allows us to bring that level of service to people all across north and west Melbourne.